13 Wayside Driver, Thurmaston, Leicester. LE4 8JX. United Kingdom. Midland Transport Training offer an inclusive service to relieve the burden of administering your training requirements; we offer full certification and registration to the National Database: accredited course content and materials: and timely reminders of further training required. Midland Transport Training will help you through every step of your CPC training. You will be assigned an individual case handler, to ensure that your time with us is as simple and stress-free as possible, so lets get started. 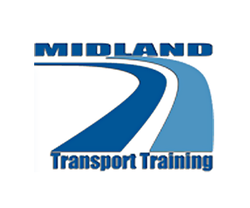 Midland Transport Training is an independent Leicester based LGV & PCV training company offering you the highest quality industry transport training available in the UK. For more information please contact one of our trainers who will be more than happy to discuss any aspect of CPC Training in more detail.